Pushed by a degraded security context both at home and abroad, France sees first and foremost the June European Council session on defence as an opportunity to consolidate the previously endorsed “small steps” approach to CSDP, in particular to support its own efforts to maintain its “strategic autonomy.” Yet, the mixed results of this policy so far are leading France to engage more with its partners on re-introducing a political vision that could help push CSDP out of its muddy scrapes. Poland should build on this since it could bolster the EU’s ownership in providing genuine solutions to crises in the neighbourhood. Opportunities for Poland and the Other Weimar States. France’s renewed political activism is good news for Poland, which has long advocated for setting out a more political vision of CSDP. However, its efforts remain hesitant and practically instrumental. Poland needs to build on the recent strengthening of its political weight in Euro-Atlantic forums to ensure consolidation of both EU and NATO procedures and instruments to face the changing environment. 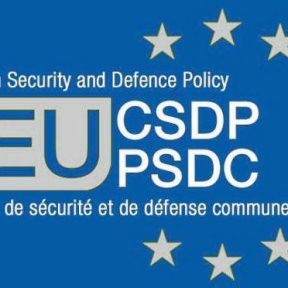 It should use the political capital accumulated with France in recent years—recently highlighted by Poland’s purchase of 50 multi-role Caracal helicopters from Airbus and France’s decision to halt the Mistral deal with Russia– to further re-activate Weimar support to quickly develop a political vision on EU ownership of genuine solutions to crises in its neighbourhood. Considering the growing number of these crises, solutions such as the possibility of autonomous capability of command and control in EU-led operations could be re-activated. Despite the UK’s refusal in 2011 to cooperate on such capability, the Weimar appears to be a powerful lever that could help move forward with the idea even with a smaller group of states. Far from undermining NATO military structures, this could result in an increased sense of responsibility among Europeans to further invest in their defence and security by easing the means for rapid responses to potential crises in which non-European NATO members may be indifferent or have a different interest altogether.